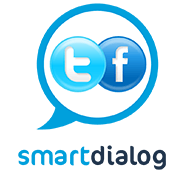 Choose an overview in 3, 4 or 5 columns, one per family member. 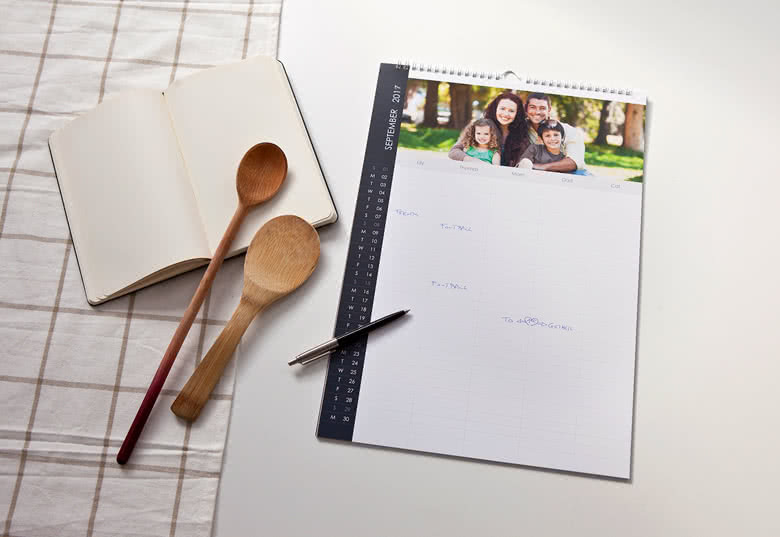 With this personalised family organiser you can keep track of the busy schedules of your family. 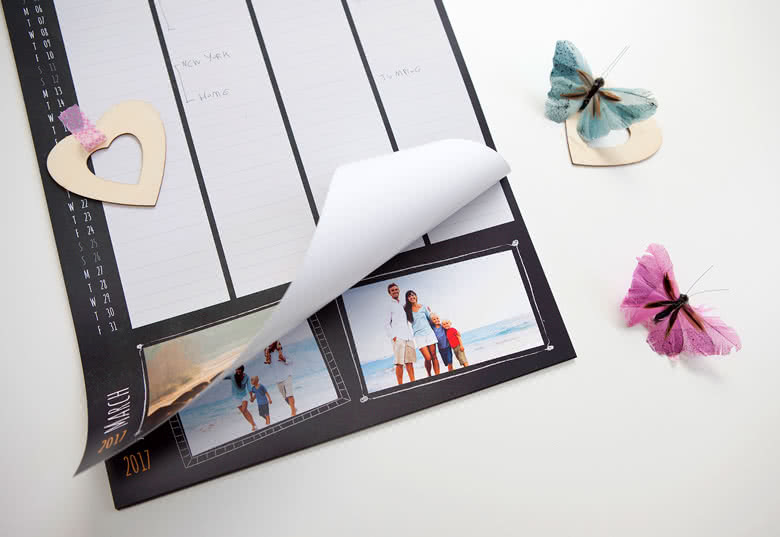 Choose between 3, 4 or 5 columns depending on how many family members you have. 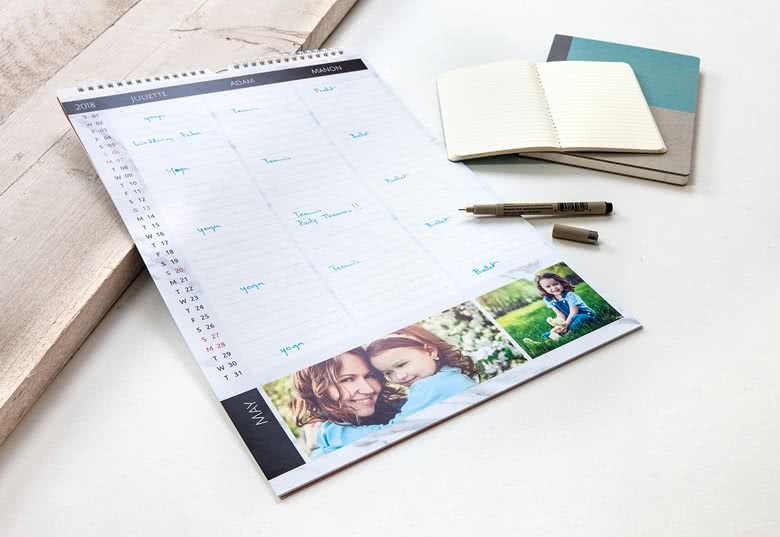 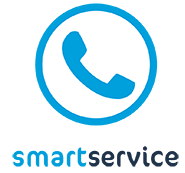 Each page of the calendar has options for one or several photo zones for you to upload your best photos of your family and your everyday life. 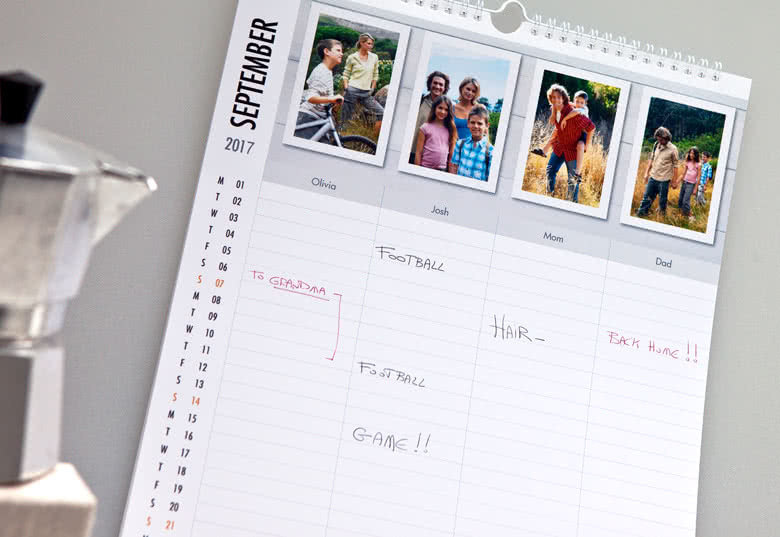 In this way the Family planner easily also turns into wall art, and you cannot wait until you can flip the page to see next months photos. 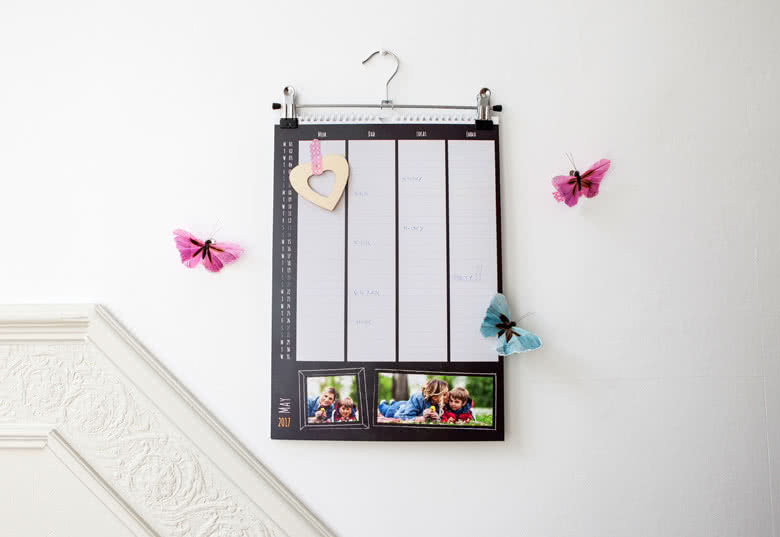 The best thing is that you can choose which month you want your calendar to start. 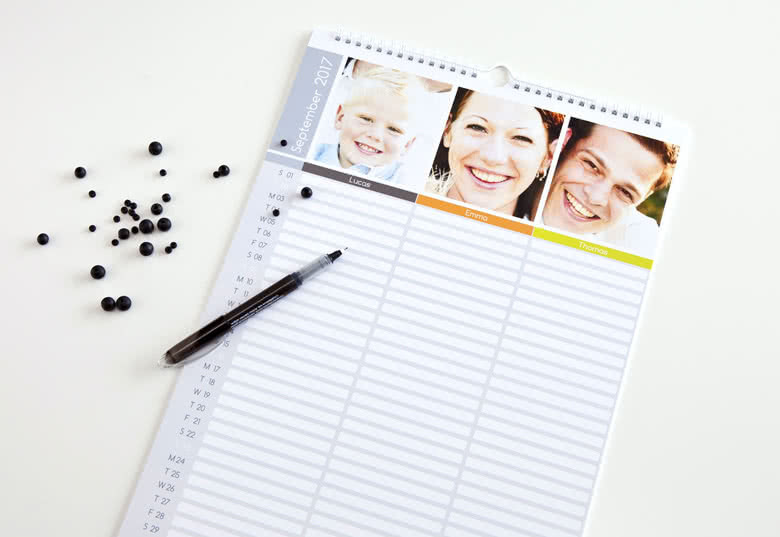 Whether you like colourful designs or a minimalistic style there is a Family Planner for you!